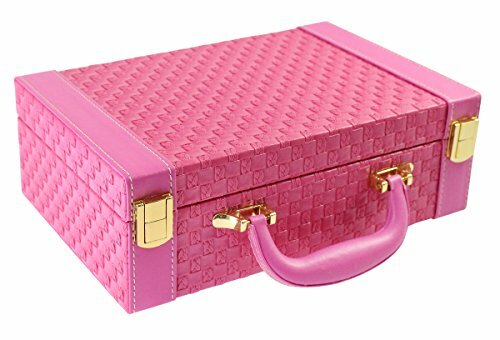 This elegant and business-like item is going to be your new best friend when it comes to the storing and safe keeping of your jewelry! 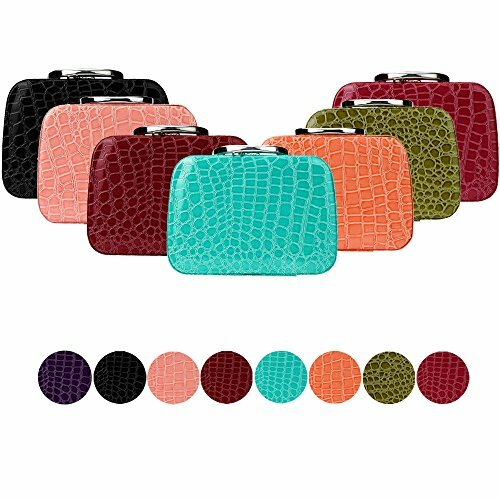 It is a neutral and modern style jewelry bag and it has been made of highly resistant and durable material. It is available in more colors as well in order to match to your clothing style and personal taste! You can get either in an elegant black, a dark navy blue with adorable little cats, a white dotted purple version and an amazing floral themed light violet version! 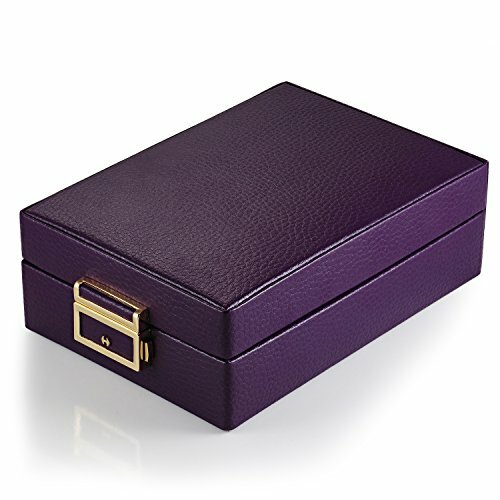 This large and convenient jewelry box is double-layered and variously compartmentalized for a wider variety of jewelry. The first layer has got three hooks for your necklaces and a pocket to keep them in one place. Furthermore, it’s got three thick belts where you can put your rings and earrings on and also a zippered pocket for more safety where you can easily keep your larger pairs of earrings. 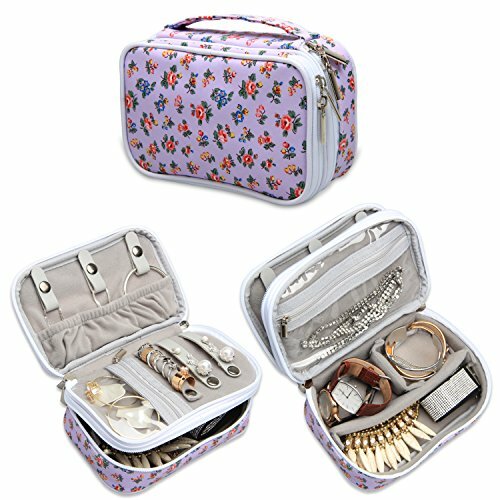 The other side of the box has got a large and spacious zippered pocket as well and it is more than ideal for necklaces and bigger bracelets. The last compartment is divided into two equally sized square sections which you can readily use to deposit your watches and one more roomy part where you will be able to place even the more substantial items of your collection of jewelry! 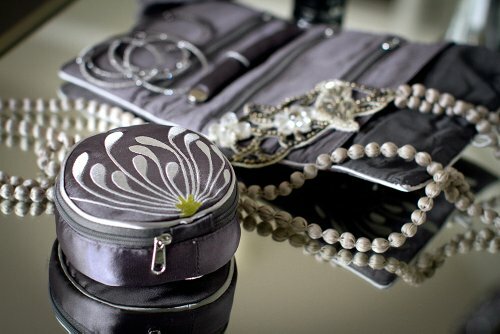 The interior of the box has been embroidered with softy and velvety material. 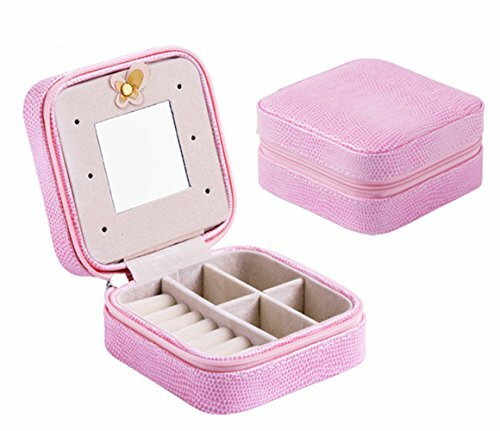 This efficient and stylish jewelry box is the perfect way to keep all your jewelry in one place and take them anywhere with you! The dimensions of this product are: 7.2 x 4.5 x 2.4 inches and its weight is 7.8 ounces.